This year marks the completion of 150 years for the first-ever Australian cricket team to tour outside the country. In 1858 a team of 13 Aboriginal players travelled to England. They were from the Western District of Victoria and most of them were from the Aboriginal clans known as Jardwadjali, Gunditimara and Wotjobaluk. The Aboriginal XI played 47 matches against local and county teams between May and October 1868. These included a match against the Gentlemen of Lords. 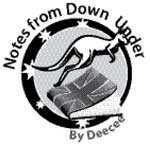 The Australian team won 14, lost 14 and drew 19 of the matches. 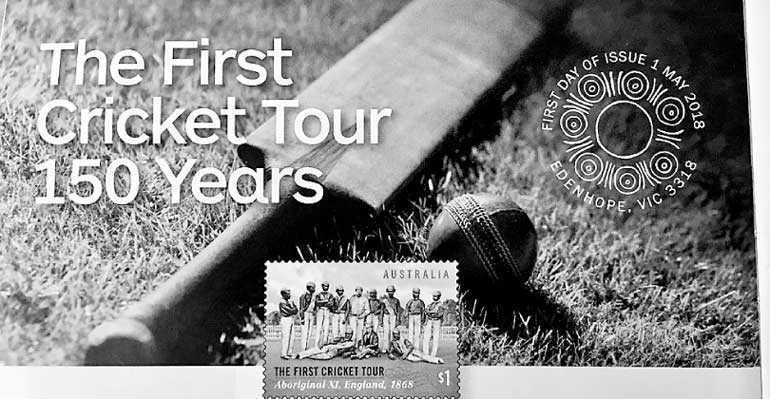 A stamp featuring one of the few remaining photographs of the tour was issued this month. It is one of the rare pictures of the 1868 team picked from the collection of the National Library of Australia. Some members of the team are missing in the photograph taken in Swansea in July 1868 during a match played against the Gentlemen of Swansea, which the Australian team had won by an innings and 33 runs. One player had died due to illness and two had returned home early. 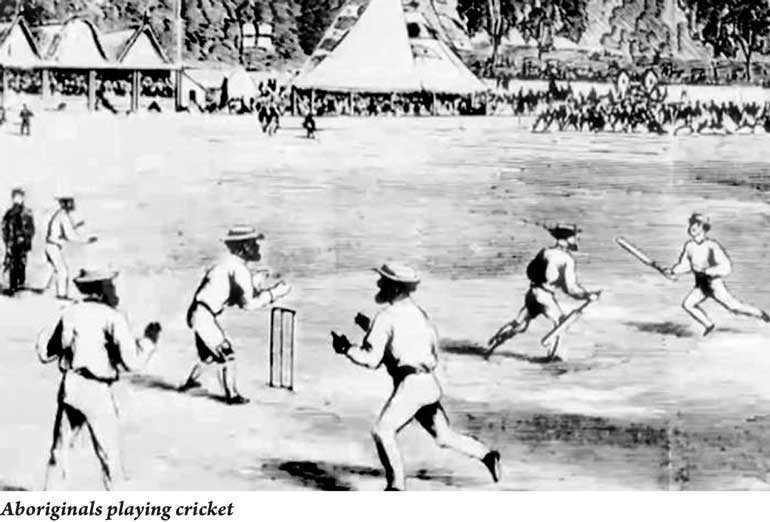 The ground-breaking players paved the way for the first Australian representative cricket tour ten years later in 1878 as well as the first Test match against England in 1880. The team was posthumously recognised in the Sport Australia Hall of Fame in 2002 as the first cricket team to tour England. According to ABC News, they were the first Australian sporting team to tour internationally, catapulted to a brief fame before being relegated to relative obscurity. “Made up of Aboriginal stockmen who worked on cattle stations from the Western District of Victoria, the men were introduced to the game of cricket by their station owners. What began as an entrepreneurial sporting venture, the landmark tour was marked by racism and tragedy,” it said. The name of Johnny Mullagh is recorded as the player who did best during the historic tour. An all-rounder, he had scored 1698 runs at an average of around 20 on pitches described a “treacherous”. The right-arm bowler bowled 1877 over, 831 of which were maidens and took 245 wickets. He had occasionally kept wickets too and had four stumpings to his credit. 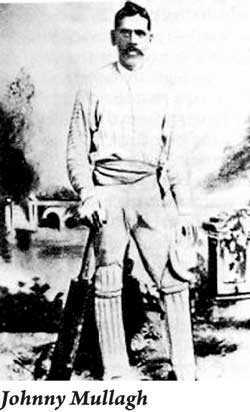 Called “W G Grace of Aboriginal cricketers,” he is considered as Australia’s first cricket legend. Born in August 1841 he had died just one day after he reached 50. His birthplace Harrow, a village between Melbourne and Adelaide, has named its sports ground ‘Johnny Mullagh Oval’ and the adjoining park is ‘John Mullagh Park’. A champion cricket match is held for the Johnny Mullagh Memorial Cup in his honour every year for the past quarter century. Harrow Discovery Centre states that 19th-century Australia witnessed severe discrimination against indigenous peoples. Many of those chosen to tour England were left to obscure futures and early deaths once the venture had concluded. One player, King Cole, died on the trip and of those who returned, seven spent time on a reserve, two vanished and the fate of two others is not clear from the surviving records. For Indigenous Engagement Specialist at Cricket Australia, Paul Stewart, the tour “paved the way” for future international matches and played a significant role in the formation of Test Cricket between Australia and England 10 years later. “We as Aboriginal people are proud that we’re the First XI to head over and play in England,” he says.